St. Paul of the Cross was born at Ovada in Liguria, Italy, the son of devout parents. His childhood was distinguished by an incident in which he and his brother, John Baptist, fell into a river and were rescued by a beautiful lady whom they understood to be the Blessed Virgin. Devout from childhood, he progressively grew deeper in the spiritual life until, at the age of fifteen, he decided to devote his life to prayer and penance. At the age of twenty he felt that duty required him to join the Venetian army to fight against the Turks in the defense of Christendom. This experience only proved to him that his vocation was elsewhere. After his discharge, he returned to his life of prayer. After a series of visions in which he was directed to found a congregation that was to be especially devoted to the Passion, Paul composed a rule that was approved by Rome. Known as the Passionist Order, Paul and his brother, John Baptist who had joined him, both settled on Monte Argentaro and there received the first novices. The austere life of the community of the Passionists also included the mission of preaching throughout the countryside, and it was this work that occupied most of the Saint's life. 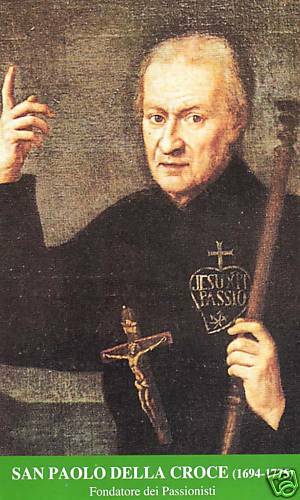 St. Paul of the Cross was an extraordinary preacher who possessed many of the mystical gifts including prophecy, bi-location, supernatural perfumes, visions, power over nature and levitation. 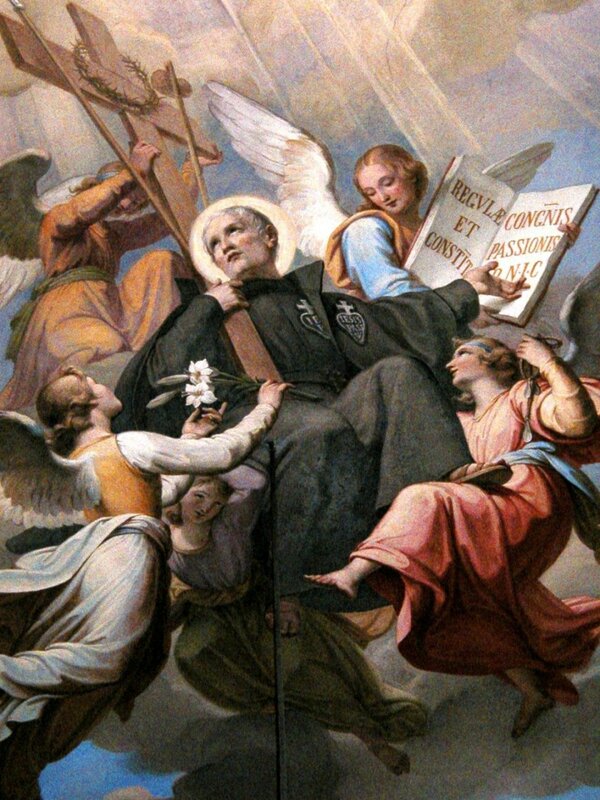 Recognized as a Saint during his lifetime, he was usually met by throngs of people who were anxious to obtain a piece of his habit as a relic, to touch him or to request a cure or a favor. God was with him everywhere he went, and his preaching missions were attended not only by almost all the local townspeople, but also those of the surrounding towns, so that at huge crowds were present at all his missions. And God showed His approval of his servant by granting numerous miracles through his intercession at all his missions as if to say: “This is my beloved servant- listen to him!”. The Saint also possessed extraordinary power over the devil. Once while giving a mission in Orbetello, there was a great commotion in the soldiers' barracks. One of the soldiers, screaming in terror, was being dragged and jostled by an invisible force. St. Paul was brought to the scene and with his crucifix held high, he commanded the spirit to depart. When the devil resisted, he ordered the soldier to make an act of contrition. The Saint then demanded the departure of the devil. No longer able to resist, the evil spirit left. The soldier confessed his sins and thereafter enjoyed peace of soul and mind. The Saint's power over nature was exhibited on a number of occasions, especially at Santaflora, where he was to give a talk. Because of his great popularity, the church was crowded. An even greater number of people gathered in the square outside the church. So that both groups could hear him, the Saint stood at the church door and began to speak. The day was clear and bright, but suddenly the sky became dark and rain began to fall in torrents. The people immediately panicked and ran about in confusion. 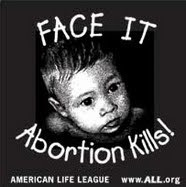 Seeing in this disturbance the work of the devil, the missionary held his crucifix high and blessed the air. Immediately the sky cleared and the people returned to their places. To the wonderment of all, everyone in the square was completely dry, whereas a moment before they had been thoroughly wet. During another sermon to the people gathered outdoors, the sky suddenly became dark and threatened a terrible storm. Assuring his listeners that it was the work of the devil to prevent the good they were gaining, Paul blessed the black clouds with his crucifix. To the amazement of the people, the rain fell all around, but not a drop of water touched the Saint or the members of his audience. In his biography of the Saint, Rev. Pius of the Name of Mary tells of a truly astounding miracle that took place when the Saint was scheduled to conduct a mission on the Isle of Elba and was in need of a ship to take him there. The Saint approached a sea captain, who indicated that his ship was badly damaged from a storm at sea and had been drawn up on shore. The Saint told the captain not to worry, that through the power of God their jour¬ney would be successful. Captain Fanciullo, an eyewitness, tells what took place. Wherefore the master, with his sailors and myself, began to haul the vessel towards the sea. The servant of God, too, taking his crucifix from his breast, held it up with his left hand, and with his right helped to haul. In an instant the vessel was in the sea, and both I and others standing by thought it a miracle to get it into the sea with so few hands. I saw Father Paul embark and set sail for Porto Ferrajo, on the Isle of Elba, which they happily reached. News reached us that no sooner were they disembarked, than the vessel split in two and sank. A miracle reminiscent of St. Anthony and the donkey adoring the Holy Eucharist took place while St. Paul of the Cross was walking beside a farmer who was driving his two young oxen. When the animals became agitated and began giving the farmer some trouble, he blasphemed so badly that the Saint began to admonish him. Becoming even angrier, the farmer leveled a gun at the Saint. Horrified more at the indecent language than he was frightened for his own life, the Saint drew his crucifix from his belt and held it high, saying: "Since you will not respect this crucifix, these oxen will." As if they understood, the oxen fell immediately to their knees before the image of the crucified Saviour. At the sight of the miracle, the farmer threw down his gun, begged par¬don of the Saint and soon went to Confession and reconciled himself to God. "There are many here to whom it seems a thousand years before I end my mission here, but I shall leave another behind, who will carry on the mission better than I." All of a sudden, they were astounded at seeing a blue sweat beginning to flow in great abundance from a large crucifix of wood, which is preserved in that church. The priests brought cloths to receive the sacred liquor, while some of the people, recollecting what the holy missionary had said, ran to tell him what had happened. "It is a good sign," and then went on with his journey. The effect was what he had expected. Those who had not been moved by the thunder of his voice, were brought to repentance by the sight of the miracle. For a perpetual remembrance of this wonderful event, a new chapel was built, in which the miraculous image was placed, with an appropriate inscription, as may be seen to this day. 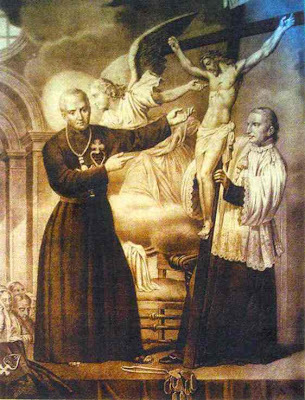 St. Paul of the Cross died in 1775 at the age of 80 and was canonized a Saint in 1867. Is there anyone alive today who is considered a mystic in the Church? Since you have done this research, I would like an honest response. Thank you. To answer your question, yes, there are definitely some persons living today who are considered mystics in the Church. I personally have met and spoken with two Catholic persons who are said to be mystics. As far as I can tell by my research, there has always been mystics in the Church, just as there has always been living Saints in every generation. Like the Saints however, the Mystics too are never universally accliamed or accepted--there are always the detractors and disbelievers, for as Jesus Himself said "A prophet is honored everywhere except in his own hometown and among his relatives and his own family."